Game Stone Age Cafe. 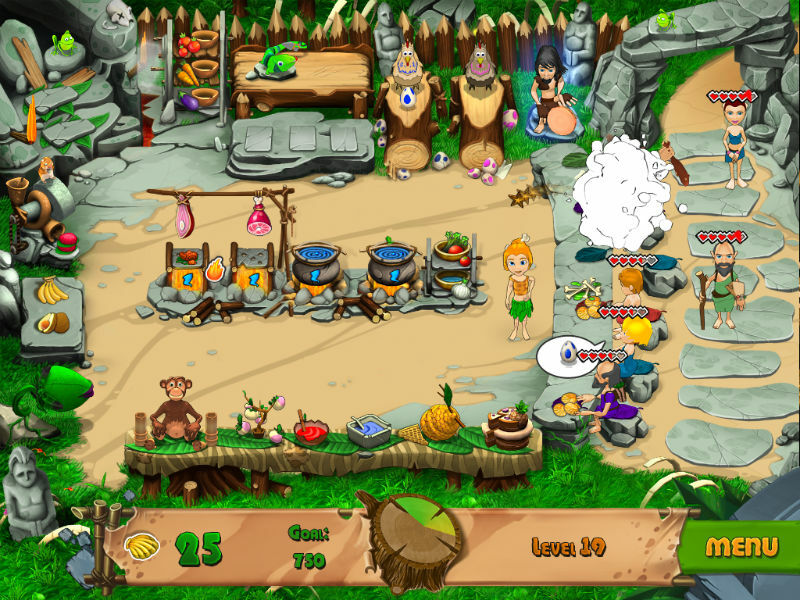 Download game Stone Age Cafe for free at Nevosoft.Com. 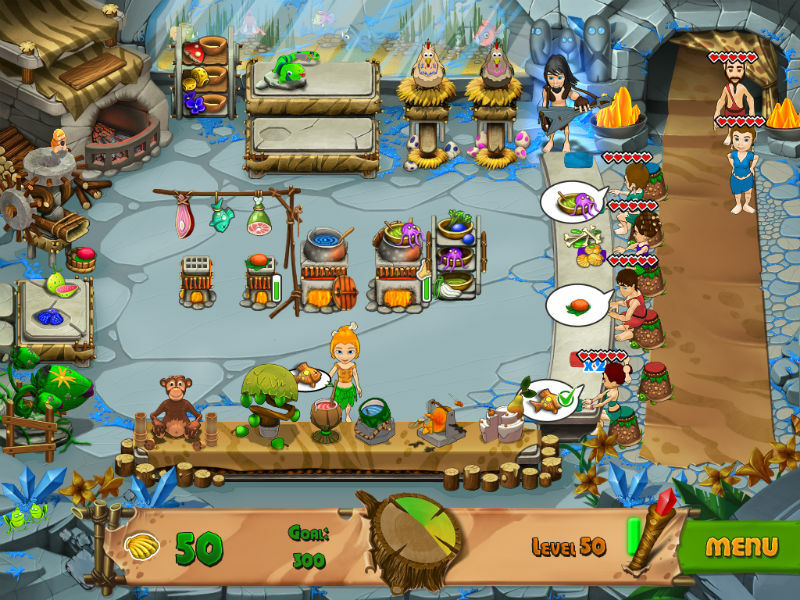 Description, walkthough of Stone Age Cafe, buy game. 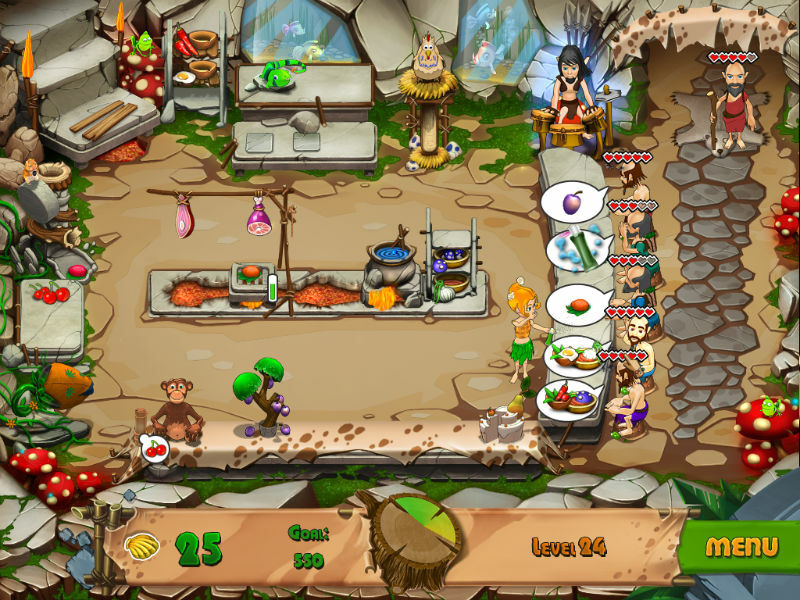 Manage your own cafe set in the Stone Age, save your tribe from hunger and earn some tribal cash in Stone Age Cafe! The tribe’s shaman told the prophesy of Chuchii’s destiny: she’s going to become the tribe’s cook! What she doesn’t know is that a great cook can not only save the day, but change a whole tribe’s fate! 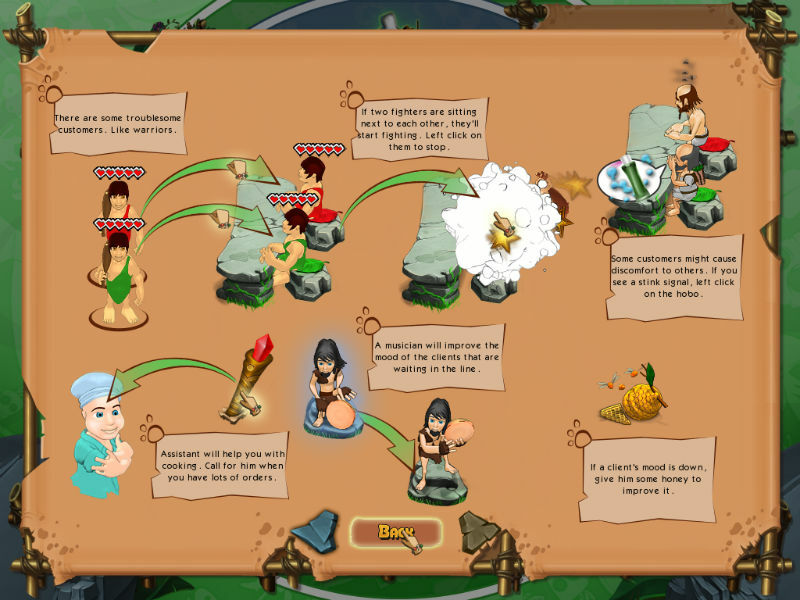 Run the Stone Age Cafe and save Chuchii’s entire tribe in this incredible Time Management game!